Only several years ago, many startups and small businesses could not effectively compete against larger and better financed competitors. Today, inexpensive and free small business marketing tools, outstanding small business programs from Google, and crowdsourcing have made it possible for startups and small businesses to level the playing field. In this post, we’ll discuss five designs that startups and small businesses should crowdsource to further level the playing field with their better financed and larger competitors. There are literally dozens of different types of designs that can be crowdsourced. To get a few ideas about how other businesses have leveraged crowdsourcing for design, you can read 99 designs you can crowdsource on crowdSPRING. Why should startups and small businesses trust crowdsourcing to meet their design needs? Small businesses and startups have minimal brand recognition, are often located in geographic or demographic areas that limit their marketing options, and most have small (or non-existent) marketing budgets. Crowdsourcing empowers startups and small businesses to avoid the time consuming process of finding a graphic designer, negotiating a contract and a fee for the work, and the wait to review one or several design choices. Simply put: crowdsourcing is quicker, less expensive, easier, and offers you far more choice than working with a single freelancer or agency. What types of designs should startups and small businesses crowdsource? 1. Logo Design – Startups and small businesses often make the mistake of using a poorly designed logo or an off the shelf generic logo from a $99 logo store. This is a costly mistake. The logo is one of the most important elements of a brand. As you think about your logo, keep your audience and products/services in mind because you want your logo to reflect your company. A good logo builds trust and a strong logo will help to pull your brand together.Think about the logos of some of the world’s most admired brands (Apple, Google, Amazon). How do you feel (emotionally) when you see one of those logos? By making your logo the main theme of your marketing and advertising activities (online and offline), the logo will become associated with your business and will help you to better communicate with prospects and customers. Logo design projects on crowdSPRING start at $200. When you crowdsource your logo on crowdSPRING, you’ll set your own price (we’ll give you suggestions based on our experience with thousands of logo design projects), see work from dozens of talented designers ( more than 80,000 designers from nearly 200 countries work on crowdSPRING), use simple but effective tools to manage your project, and choose from an average of 110+ original custom designs. And you are at all times protected by crowdSPRING’s 100% satisfaction guarantee. logo crowdsourcing tip: If you are looking for a color logo, consider the messaging that color sends to your customers. Do the colors reinforce and strengthen the intended core message/personality/mood you’re trying to communicate through the logo, or do they distract or neutralize? For example, blue often communicates trust, loyalty and freshness. The color blue is common in banking or finance. Green represents life, nature and cleanliness. Also consider colors that work well with dark and white backgrounds. Because logos are often printed in black and white, chose a logo design that is viable and as strong or stronger in black and white. If you’re interested in additional tips on getting a great logo for your business, the crowdSPRING community has created an outstanding guide and I encourage you to read it – 10 Logo Design Tips. There’s also an excellent guide for buyers who want to effectively manage their design projects on crowdSPRING. Most businesses, from one person start-ups to small and mid-size businesses to international conglomerates, need to have a presence on the Web. A strong website can help a small business to more effectively market its products or services – even if the small businesses’ customers are all local. A strong website can also help individuals and businesses to promote their brands online, including on social networks such as Facebook, Twitter, LinkedIn, Classmates, Bebo, Yelp, Foursquare and others. Web Design projects on crowdSPRING start at $600 (for 1-5 designed pages). As with logo design, when you crowdsource your web design on crowdSPRING, you’ll set your own price (we’ll give you suggestions based on our experience with thousands of web design projects), see work from dozens of talented designers, use simple but effective tools to manage your project, and choose from an average of 110+ original custom designs. And you are at all times protected by crowdSPRING’s 100% satisfaction guarantee. In addition to web design, startups and small businesses can crowdsource the design of landing pages (for example, landing pages for web optimizer testing), blog themes, headers for their websites or blogs, widgets and applications, email templates, icons and buttons, and banner ads. web design crowdsourcing tip: Focus on the right details at the right time. Don’t get caught up in details before they become relevant. When your project is for web design, for example, do not get caught up in minor icons or colors – creatives can easily customize iconography to your liking, but a design takes a lot of hard work and brainstorming. In fact, color iterations can be discussed in the post-project wrap-up after you pick the winning design. Focus on the details that are most relevant to get a good foundation for the design and leave your final tweaks until you wrap-up the project. 3. Flyer Design – Many startups and small businesses worry about the often high cost of flyer and brochure design and settle for poorly designed, amateur-looking or generic flyers and brochures. 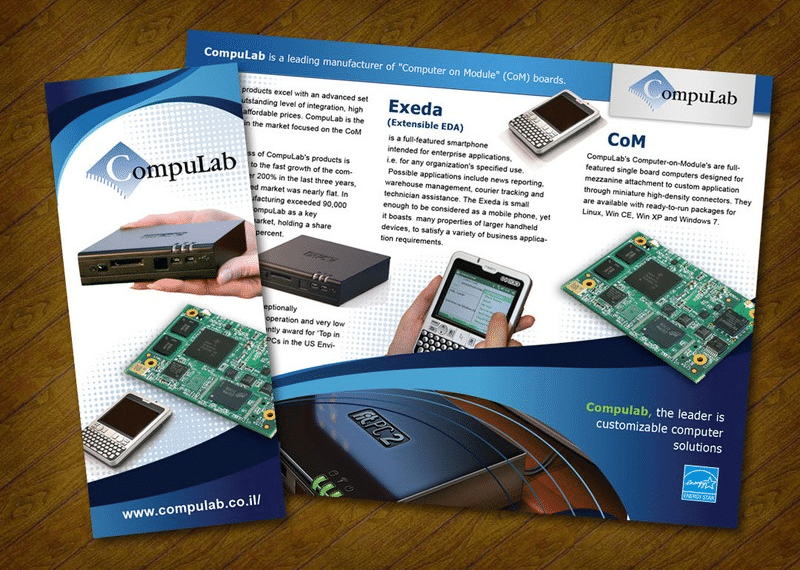 Flyers and brochures help you get your message out about your product or service. Well designed and effective flyers can make a huge difference in making sure that your marketing dollars are well spent. Instead of using templates that your potential customers have seen from many of your competitors, why not design totally custom flyers for your products or services? This is your chance to stand out from the crowd and show why you’re different. Print design projects on crowdSPRING start at $300 and allow startups and small businesses to get outstanding flyer and brochure design on their smaller budgets. When you crowdsource your flyer or brochure design on crowdSPRING, you’ll set your own price (we’ll give you suggestions based on our experience with hundreds of flyer and brochure design projects), see work from dozens of talented designers, use simple and effective tools to manage your project, and choose from an average of 110+ original custom designs. And you are at all times protected by crowdSPRING’s 100% satisfaction guarantee. flyer design crowdsourcing tip: Take printing costs into consideration. What resolution do you need for the finished product? Price out the printing costs so that you understand how much you’ll need to spend to print brochures. For example, an unfolded 8-1/2 x 11 size sheet of paper is often used for product or service sheets. It can also be tri-folded for a brochure. Some companies use an 11 x 17 size brochure, folded in half, as a product catalog. If you’re looking at multiple pages, consider too how you’ll assemble the finished product. 4. Stationery Design – When you send someone a letter or meet someone for the first time, your stationery and/or business card is often one of the first impressions someone will have about you. 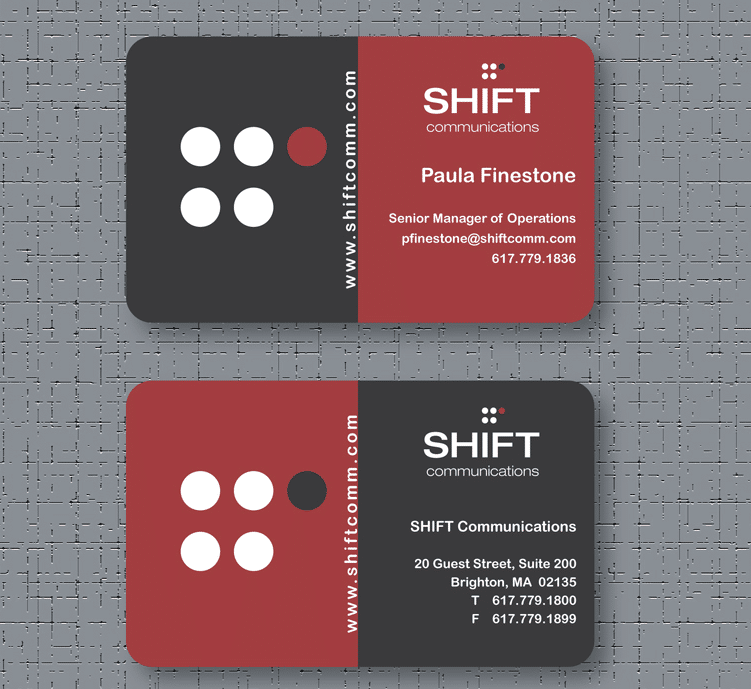 Unique stationery and business card design can help you to more effectively promote your brand, product or service. Many small businesses make the mistake of printing cheap looking stationery and business cards in an effort to save money. How do you feel when you’re handed a generic and unimpressive business card? You don’t have to sacrifice quality or choice if your budget is small. Stationery design projects on crowdSPRING start at $300. When you crowdsource your stationery design on crowdSPRING, you’ll set your own price (we’ll give you suggestions based on our experience with thousands of stationery design projects), see work from dozens of talented designers, use simple but effective tools to manage your project, and choose from an average of 110+ original custom stationery designs. And you are at all times protected by crowdSPRING’s 100% satisfaction guarantee. stationery design crowdsourcing tip: Avoid committeecide. The committee process (a litany of compromises over the final look and feel of a design) often produces an identity that is as mushy and bland and ultimately, not memorable. Pick a small group of people whose opinions you really trust, in-house or not doesn’t matter. In fact, people outside your company can be better than insiders. Get their input, weigh it against your own thoughts. Then make your decision. 5. Banner Ads – As more and more people rely on the Internet to read the news, watch movies and participate in discussions, it’s important to find new and creative ways to market to those people. Businesses of all sizes, from one person start-ups to small and mid-size businesses to international conglomerates, need to find ways to extend their marketing messages to the Web. One way to reach your customers is to use banner ads. Banner design involves the design of small banner ads for use on the Internet. Banners are intended to work the same way as traditional advertisements. When consumers see banner ads, you want the banner ad to persuade the consumer to choose the product or service you are marketing. Effective banner ads can substantially improve your click through rates (CTR) and your conversions from display advertising. banner ad design crowdsourcing tip: You should always be testing your display ads with different variations to see if you can improve your CTR and ultimately, your conversion rate. Many companies post banner ad projects with multiple awards so that they can buy several different variations of banner ads and A/B test the advertising. Buying multiple variations costs a bit more, but even small improvements in CTR and conversion rates can more than pay for the added cost. How can you leverage crowdsourcing to develop a strong portfolio of banner ads? Banner ad projects on crowdSPRING start at $300. When you crowdsource your banner ads on crowdSPRING, you’ll set your own price (we’ll give you suggestions based on our experience with hundreds of banner ad projects), see work from dozens of talented designers, use simple but effective tools to manage your project, and choose from an average of 110+ original custom designs. And you are at all times protected by crowdSPRING’s 100% satisfaction guarantee. Do you have suggestions about other designs that should be crowdsourced by startups and small businesses, or tips about crowdsourcing design? We’d love to hear from you in the comments below.